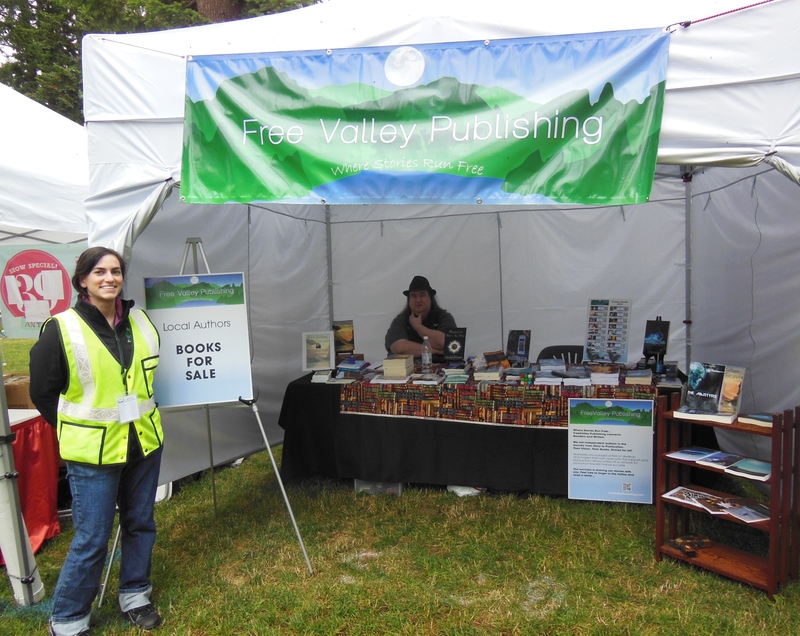 This entry was posted in Community, Events and tagged books, meet the author, NW authors by freevalleypublishing. Bookmark the permalink. Thanks Sheri. There are new books since last year: Jeffrey Cook’s Dawn of Steam Trilogy is complete and available for purchase, Jeffrey Cook’s MINA CORTEZ: From Bouquets to Bullets, SOUND & FURY: Shakespeare Goes Punk anthology with other authors, and Foul is Fair with Katherine Perkins are all available. Victoria Bastedo has recently published Green-Eyed Pursuit and Roots Entwine since last year. Stephen Matlock has another nonfiction book out: Mountains of the Moon: Thoughts about the Journey. I published At One’s Beast. All of us together have produced a new anthology: Free-flowing Stories. Be sure to stop by to get these latest releases from local authors. Can’t wait to see you all there! Thanks for listing them all, Rachel! Yes it has been a very productive year! May you sell, sell, sell! Tweeted.